The 1959 Heinkel Trojan 200 was the result of its creators, The “Heinkel Aircraft Company”, having to diversify after the second world war. Demand for aircraft had taken a nosedive after 1945 and the Rostock based company began making tiny cars instead. 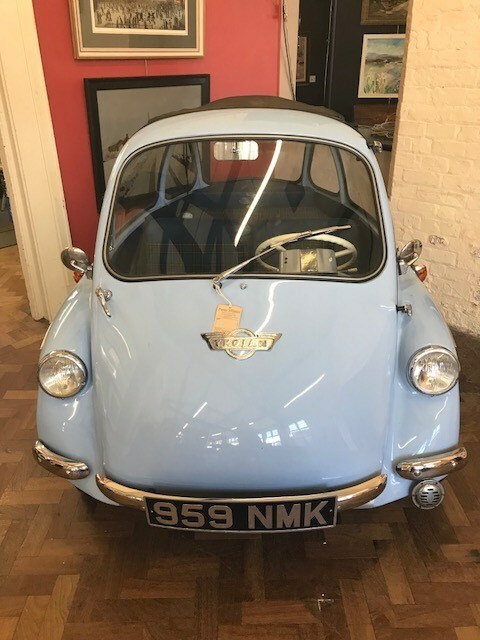 Production of this model moved to Croydon, London and the Heinkel was sold under the Trojan name. 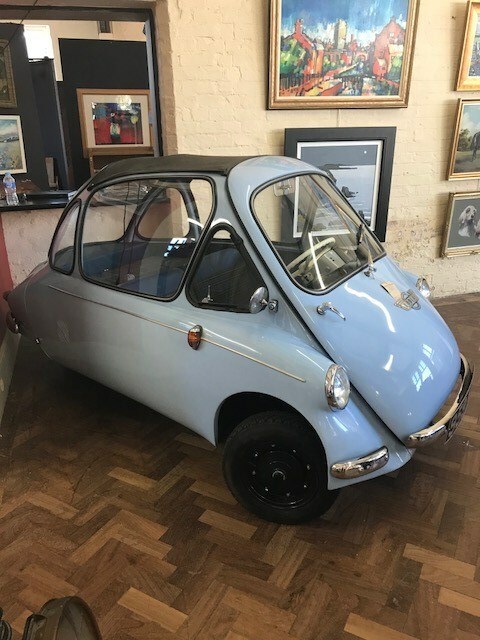 Following a full restoration at a breathtaking cost of £20,000, this locally owned micro car is to be sold in our September Fine Art auction with a pre-sale estimate of £14,000 – 18,000.